My dear friend Laura surprised me with a trip to Harbs, and treated me to afternoon tea for my birthday! 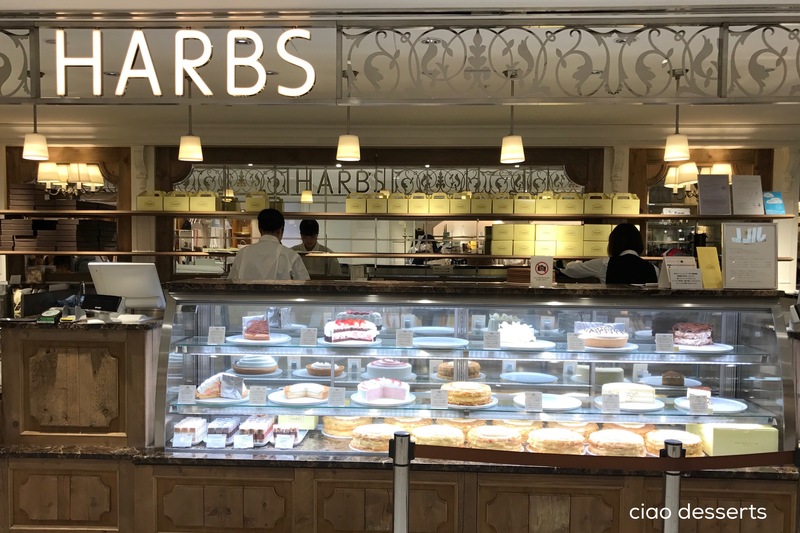 Harbs is located in the basement level of Lumine EST department store, in Shinjuku. Usually, there is a wait for a table, but on a weekday afternoon, I think we only waited for about 15- 20 minutes. The eat-in section is filled with women, happily chatting away with their friends and enjoying dreamy slices of cakes, with cups of tea or coffee. The wait for a table was enough time for me to ogle all the different cakes in the display case. 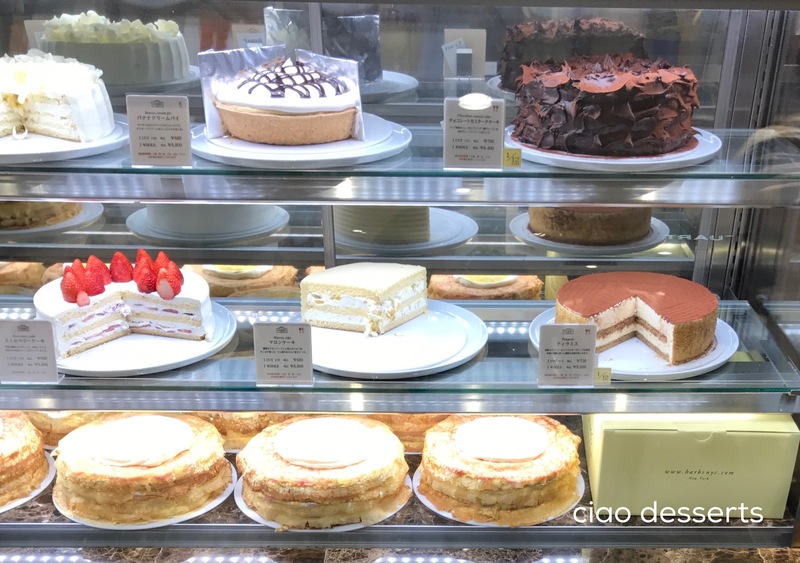 There is a chocolate custard cake, mille crepes (layers of crepes sandwiched with different fruits) citron cake, and marron cake (a cake that features chestnuts) You can see their entire menu and descriptions here. 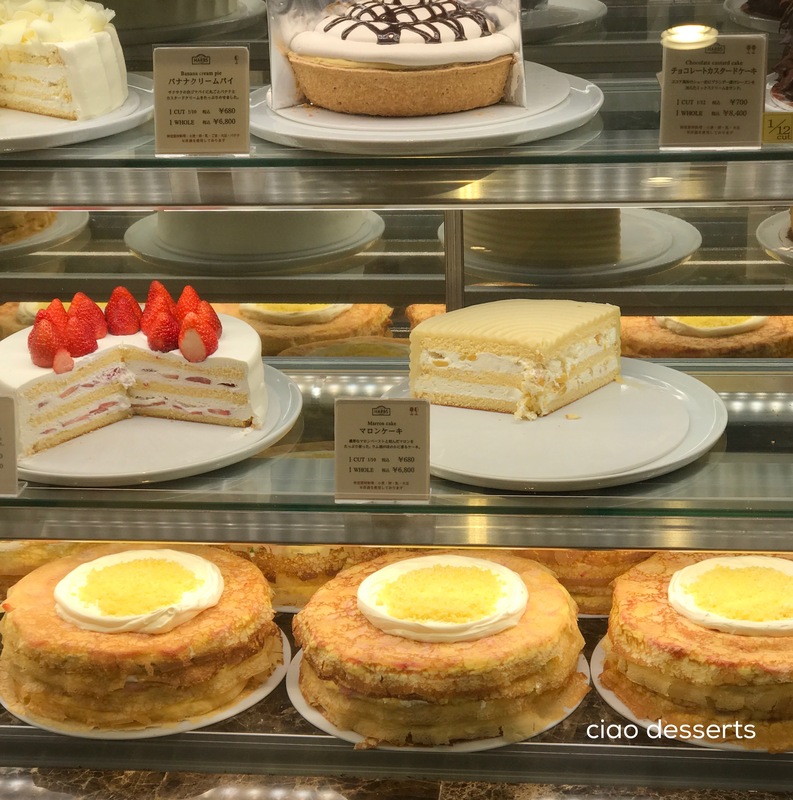 But of course, my heart (and appetite) was captured by one of their signature cakes, the Strawberry Cake, which is a sponge cake, gently layered with whipped cream and fresh strawberries. Laura chose the strawberry chocolate cake. The chocolate cake was lightly flavored, with just a mild hint of cocoa. The main flavor of the cake still came from the whipped cream and strawberries. The Strawberry Cake I chose tasted even better than it looks. I’m guessing that the aluminum foil between the slices of cake makes it easier to slice and serve, but unfortunately, it’s not very photogenic. (And I also couldn’t figure out a way of easing the foil off of the plate, without toppling the entire slice over). In all honesty, I didn’t want to spend too much time capturing the perfect photo, because all I really wanted to do was eat the cake and talk to Laura! The cake is perfection. The cake-whipped cream-strawberry ratio is just right. Just as your tastebuds are about to get a little lost in the fluffy sweetness, you will bite into a slightly sour, but still sweet strawberry slice for contrasting flavor. It’s a flavor and texture combination that I would fly all the way back to Tokyo and wait in line for, to experience time and time again. 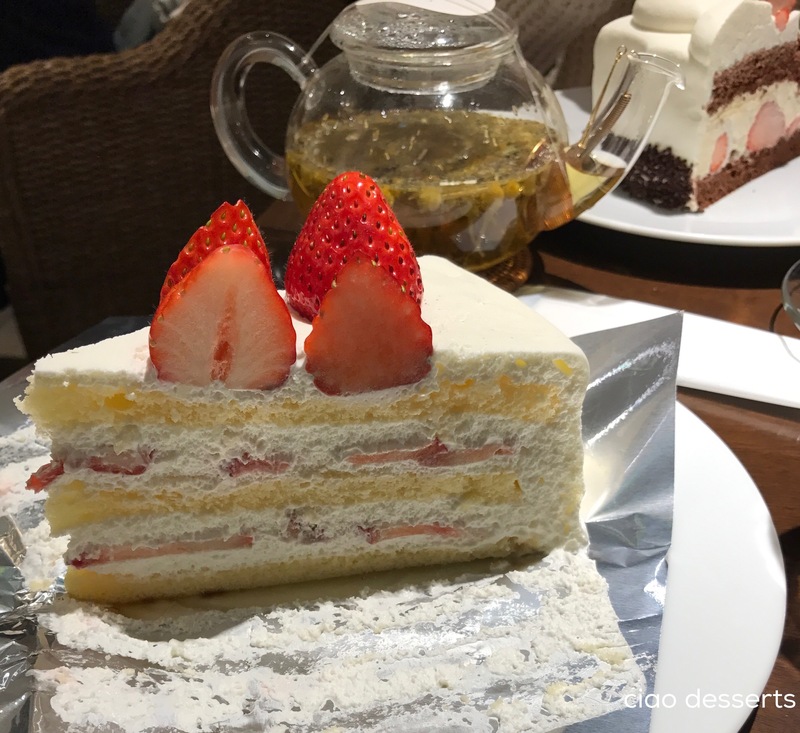 This entry was posted in Uncategorized and tagged afternoon tea, Japan, Lumine Est, sponge cake, strawberry season, Tokyo. Bookmark the permalink.